still warm on the roadside. Not a clean kill and the badger suffered a lingering death. Please note: B-R-A-V-E is not displaying the distressing images for open viewing. If you wish to include them for a clearer understanding, then please scroll down to the video presentation. I have set this to music as a tribute (R.I.P. ); however, you may mute the sound if you prefer. Animal believed to be shot by marksmen 'had time to take flight', putting in doubt claims of humane, instant killing. The first photographs have emerged of what appears to be a badger killed in the controversial culls taking place in England. A single high velocity bullet killed the animal, passing right through it, the vet who examined the carcass told the Guardian. Most badgers she had seen shot before the cull had been peppered with gunshot, Dr Elizabeth Mullineaux said. Secret World Wildlife Rescue, the Somerset-based animal charity that released the photographs of the badger, said it had been delivered to them by people on an overnight 'badger patrol' who reported seeing marksmen searching for the badger's body in the early hours of Saturday morning. "It had been shot in the way that Defra [the Department for the Environment, Food and Rural Affairs] recommends," said Pauline Kidner, the charity's founder. "This is the third badger we've had in from the cull zone. The other two were road traffic accidents, but this one had obviously been shot." Defra told the Guardian it was "confident" that the animal had not been killed as part of the cull because all the badgers killed so far had died "instantly." 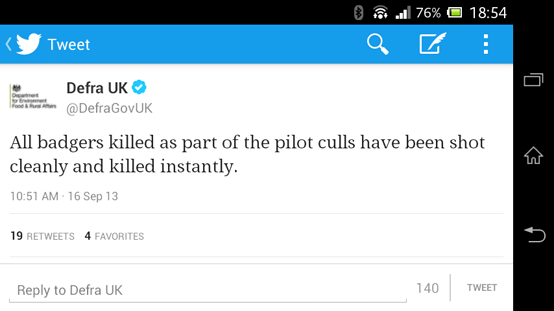 "All badgers killed as part of the pilot culls have been shot cleanly and killed instantly," a tweet by the department said. Mullineaux, who is a consultant to the charity and has been a clinical vet for 17 years, said: "A single shot has entered left-hand side of the chest, slightly behind the Defra target area. Rather than going through perpendicular therefore to the heart and lungs, it went diagonally and out the side." X-rays of the animal showed fragments of the bullet, and what appeared to be "one track" between one entry and one exit point. She was of the opinion just one bullet had been used, leaving the stomach and liver lobe coming out of the "sizeable" exit hole. She said it was hard to say how long the animal was alive for after being shot, apart from the fact it had time to take flight. 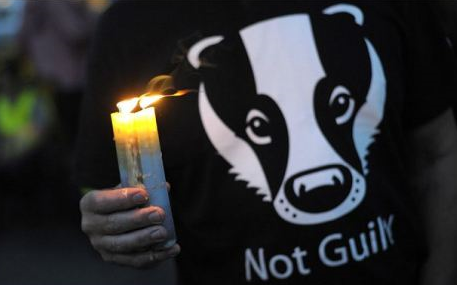 One of the key tests of the humaneness of the pilot culls, which are designed to see if badgers can be killed in a way that is safe, humane and effective to combat the spread of bovine TB to cattle, is 'time to death', Freedom of Information requests have revealed. Kidner said she would have the badger's body post-mortemed and then DNA-checked to see if it matched DNA records of badgers within the zone, which were taken by Defra before the cull began. She said she was taking the steps as she was certain it had been killed as part of the cull. Here is the video presentation of this tragic, true story. Warning: this video contains graphic images that may distress viewers. The video refers to DEFRA's highly redacted document. You can view the whole of this here. This report is from a sab group on the ground at the time of Badger 102 being found. It raises many, many questions that need just as many answers. On Friday 13 September, Hunt Saboteurs began surveillance of an area of the cull zone in Somerset. Using public footpaths, sabs used high vantage points around a particularly large network of badger setts to set up observation posts. After a great deal of time and patience in the early hours of Saturday morning, one group were horrified to discover that they were not alone. 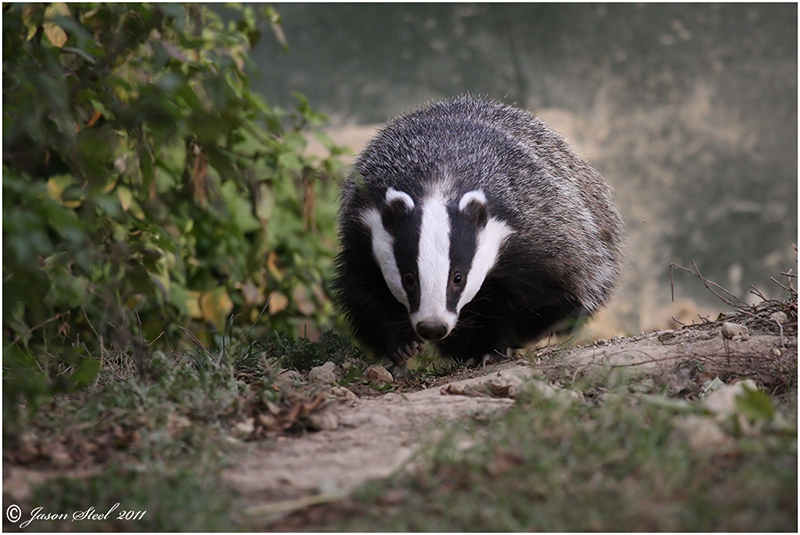 Men in shape-breaking clothing were resting against a tall fence facing towards the badger setts a mere 3 feet aware from them, one wearing a large poncho and carrying a tripod with night surveillance equipment (presumably a spotter) and the other carrying a rifle (the marksman). 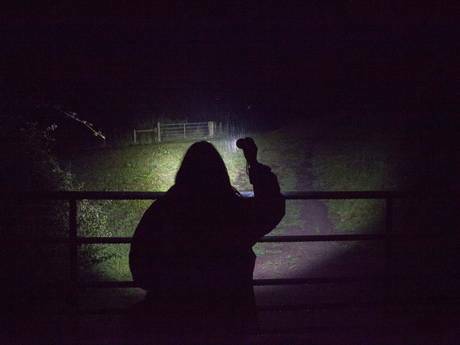 They were motionless and silent, and in the darkness of the countryside would have been impossible to find had it not been for the publicly donated night-vision equipment sabs were carrying. Sabs called out that they had been spotted expecting a reaction from them but they simply slipped away into the darkness and were visually lost. This team notified all teams in the area of what they had seen and it was concluded that these were DEFRA's hired staff and that they had been shooting so sabs began a patrol for wounded badgers. Sure enough, found directly downhill from the marksman’s last known position was a very recently deceased badger. She was a young female, still warm and she had been shot in stomach, her organs expelled from the exit wound. Thinking quickly sabs worked to get her out of the area, and it was at this time (surprise surprise) that the police arrived. They searched vehicles claiming they were looking for a “stolen badger” (so this was clearly at that time property of DEFRA – before they decided to deny it) and turned cars inside out. The badger was taken to a secure location (via the underground railroad) and the details of the cause of her death were confirmed. Since breaking this news, DEFRA have publicly denied that this badger was from the cull zone or had been shot by their hired staff. What is interesting is that had sabs been caught in possession of this badger they would have likely been arrested and possibly charged with possession of stolen goods and/or theft much like the treatment of sabs in Gloucestershire who made a similar discovery. DEFRA seem to think that they can fool the public into thinking this was a coincidentally shot badger that was not related to their cull but of course this is clearly not true and questions need to be asked about who shot this protected animal if it wasn’t DEFRA, how the police came to know about it and why the police had an interest in finding the body. We want to thank the public for their continued support and in exchange will keep bringing you the truth.